Google has added a new warning to Chrome that pops up before users visit a site that will encourage downloads of unwanted software. 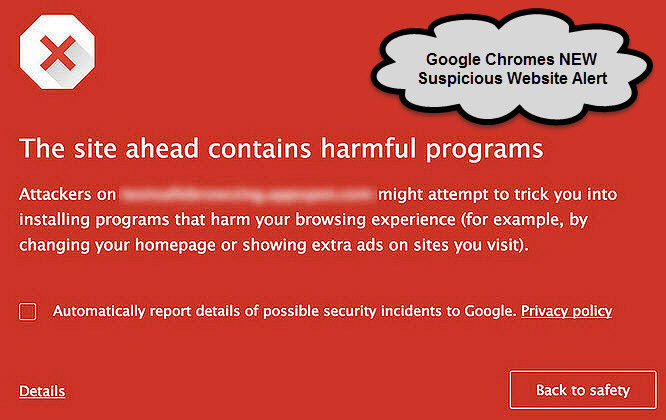 The red warning, pictured above, lets readers know that the site they’re about to visit a website that “might attempt to trick you into installing programs that harm your browsing experience” by, for example, switching your homepage or injecting extra ads on your screen. Chrome already has a warning that pops up once a software download is initiated. Google has always touted cybersecurity as a top priority. Recently, Google has begun disabling ads that could lead to websites that encourage unwanted software downloads. If you encounter a suspicious website in your cyberspace travels that contains phishing here is a Google link to report it.